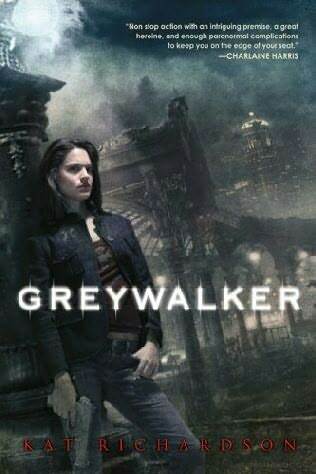 I’m still technically reading Greywalker by Kat Richardson, but it’s not really doing anything for me. I am halfway through the book and the only conflict going on is the main character’s reluctance to accept what has happened to her. So far, there isn’t a concise villain and the plot is really weak. The premise of the book involves a private investigator, Harper Blaine, who dies for two minutes and comes back a Greywalker. The idea is there is this thin veil where all the monsters and magic live, the Grey, and she can now navigate through it. She learns to deal with it while also taking on a couple of cases, which ironically enough, leads her to becoming more involved with the Grey. The book seems well-written, but there’s nothing pulling me in. The two cases are ordinary and a true villain has yet to make an appearance. I’m starting to get to the point where I want to be finished with it and move on to something else. Again, I’m halfway through the book, so many it will get better, but at this moment, it’s moving really slow. I’m not sure if it’ll keep my attention for too much longer. When (if) I finish it, I’ll let you know what I think. I’ve finished the book and my initial assessment still works I think. When I was at the point of setting it aside, the action in Greywalker picked up a lot. It almost seemed like Richardson knew something was missing and just started throwing in obstacles and mayhem. The last half of the book went a lot faster than the first half, but it still seemed lacking. We were finally introduced to the vampires, but we really weren’t given too much information on them. The one thing Richardson did do different than most other authors was that she made her vampires more monstrous, less glamorized. They weren’t pretty and sensual, but indifferent and ruthless. They don’t care for the “warms” and they have no problem showing their true colors. Overall, the book was good, but a little slow for me. I could think of other novels I would rather spend my time on. The difference as I see it, Richardson makes them the horrors we’re familiar with, but most other authors make them more sensual and composed. For instance, in LK Hamilton’s novels, all of her vampires tend to have beauty, they don’t show any emotion, and some are even succubus. They can be ruthless, but it’s more of a harsh practicality than anything. They don’t do anything without a reason. Another example are the vampires in Charlaine Harris’s world. All of her vamps have very human traits and they can even act like humans, but there is no mistaking that they are vampires. Both types are still tricksters, but even though their humanity is gone, they can still associate with humans. Richardson makes them more monstrous. They are not afraid of showing emotion, especially anger; and while this is a human trait, they lack all humanity. There is no doubt that they want to rip your heart out. They may side with you one day, but they could easily turn on you the next. This could be said about Hamilton’s vampires too, but they don’t allude to it as much as Richardson does. She gives the impression that vampires are evil and bad and a person doesn’t want anything to do with them. That as they grow older and live longer, they become out of touch with what it means to be human and evolve into monsters.